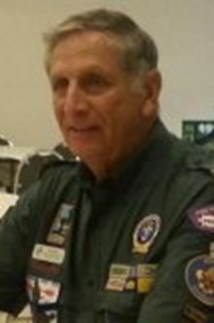 Russell has been a Scouting volunteer in Blue Ridge Council, Greenville SC since 1988. Like most volunteers, he has served in many different roles including Scoutmaster, Venturing Advisor, Commissioner, Wood Badge Course Director, and Council President. He was chairman of the task force which developed the national scouting program in Science, Technology, Engineering, and Mathematics (STEM). 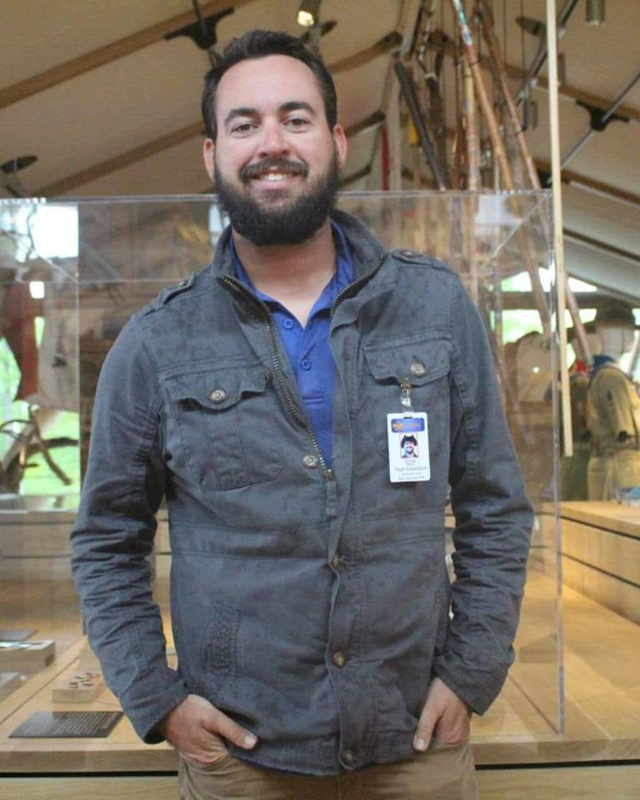 He currently serves as National Program Chairman for the 2017 National Jamboree at the Summit and he is also the Vice Chairman for Technology on the Summit Bechtel Reserve National Committee. Russell is a Life Member of the Summit Bechtel Reserve Staff Association. He is a recipient of the Silver Beaver, Silver Antelope, Silver Buffalo, and OA Distinguished Service Awards. Andrew Miller is a life-long Scouter based out of Philadelphia, PA and joined the SBRSA Executive Committee as the Vice President of Membership. He served on the SBRSA organizing committee and has served on Jamboree staff at the Summit and at Fort A.P. Hill. Andrew's Scouting service revolves around outdoor programs, where he serves on the National Camping Task Force, as a section director for First Year Camper/Outdoor Skills at National Camping Schools, as a facilitator at the National Outdoor Conference, and as outdoor programs co-chair for Northeast Region Area 5. 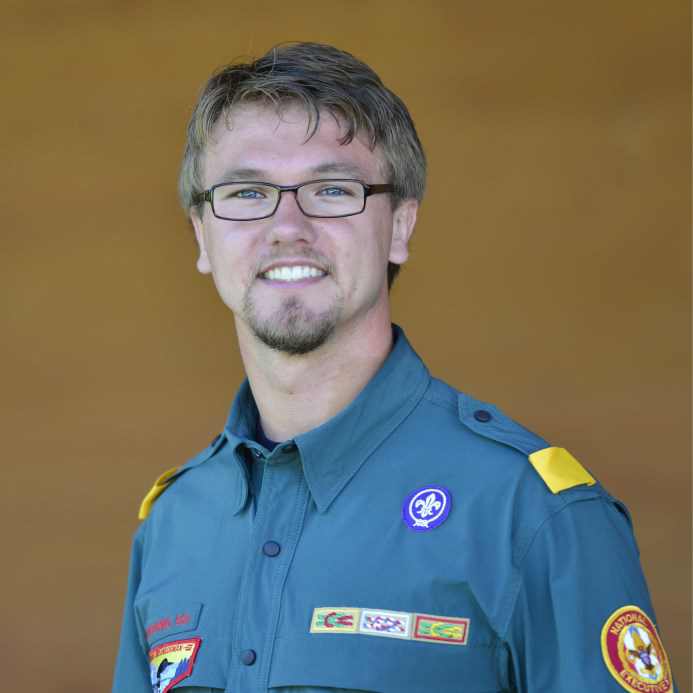 Andrew also serves on the Scouting Alumni Association Committee. Andrew has degrees in history, paleontology and business and, when not Scouting, is a management consultant at McKinsey & Company. Bob’s serves the BSA's National Committee as the Summit Bechtel Reserve Staff Association (SBRSA) Communications Chair. 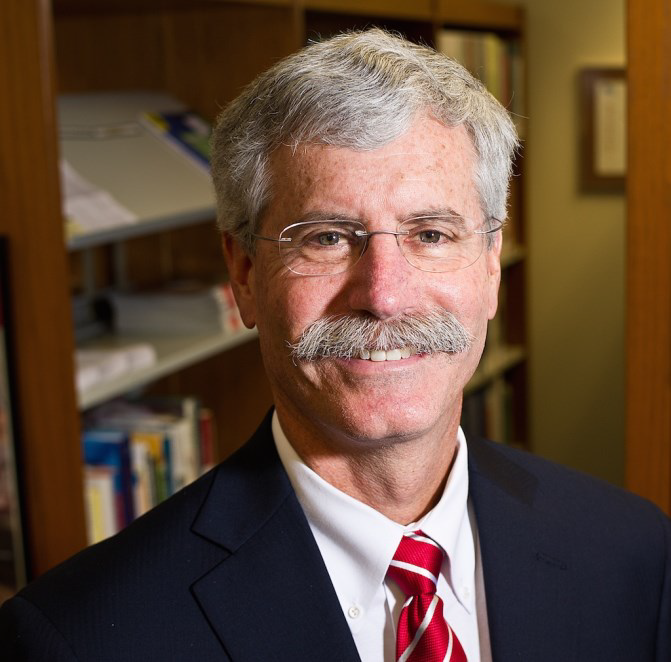 Bob serves as Area 4's Wilderness and Remote First Aid Area Advocate/Subject Matter Expert and is a thesis counselor for Doctoral candidates for The College of Commissioner Science. Bob also serves on the National Commissioner Marketing and Communications Team. Outside of Scouting, Bob volunteers for the American Red Cross and for his synagogue. Bob was most humbled to be awarded the Shofar Jewish Adult Religious Award, Daniel Carter Beard Masonic Scouter knot, District Award of Merit, and Silver Beaver. 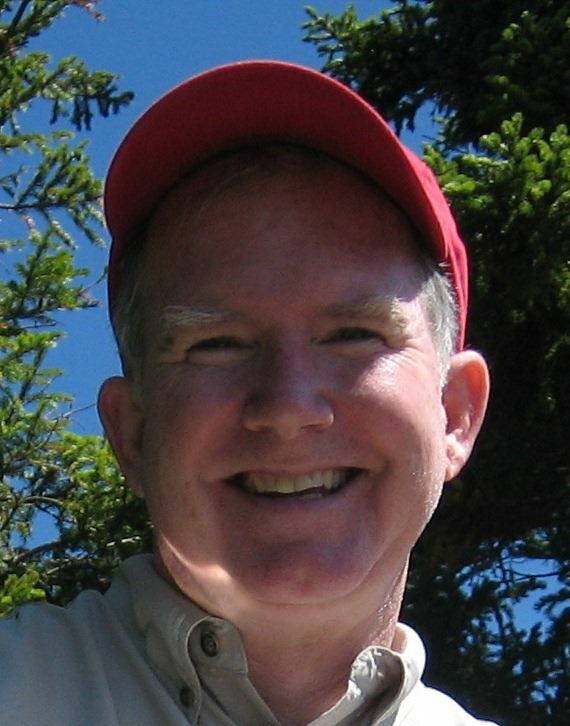 Dr. Pete Myers is an active Scouter dating back to his time as a Cub Scout, Boy Scout, and Explorer. He is an Eagle Scout and recipient of the District Award of Merit and the Silver Beaver Award. Dr. Myers is a Vigil member of the Order of the Arrow. He has attended 7 Jamborees in total, the first being in 1953. 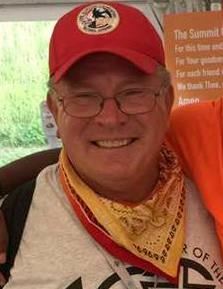 He also serves as a camp commissioner and district program chair. He was also able to share Scouting with his son, who is also an Eagle Scout. Outside of Scouting, he served in the Naval Dental Corps for over 22 years and now assists at the Dental Hygiene School. His key priority in life is to give back to the community and mentor new generations. Mark has spent his entire Scouting career, starting at age 12, in the Atlanta Area Council, Atlanta, GA. He is an Eagle Scout and is a Life Member of the National Eagle Scout Association. 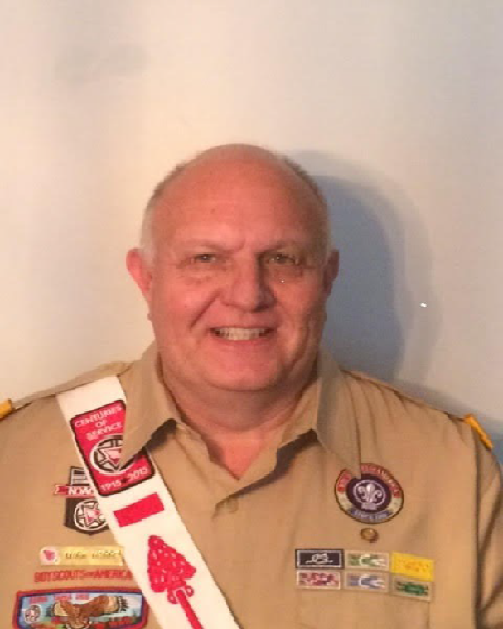 Like many volunteers, he has served in numerous Scouting roles; he is currently serving as a Troop Committee member, Venturing Crew Committee member, Assistant District Commissioner, District member-at-large, and OA Associate Advisor for both his Chapter and Lodge. Mark is a Vigil Honor OA member and recipient of the Founder’s Award. He is also a recipient of the Silver Beaver and District Award of Merit and is both Woodbadge and Powder Horn trained. He has served on staff for 4 National Jamborees and 12 National Order of the Arrow Conferences, along with the ArrowCorps5 and SummitCorps National OA projects. Mike's been involved in Scouting for 38 years, first in the National Capital Area Council, and for the past 12 years in the San Gabriel Valley/Greater Los Angeles Council, where he currently serves as Council Camping Committee Chair. He's held just about every position at the unit and district level, from Tiger Cub Coach to District Commissioner (where he serves still), as a Wood Badge staffer (a "Fox! "), OA Chapter and Associate Lodge Adviser, has staffed 5 National Jamborees (including the last 2 at the Summit), 4 NOAC's, ArrowCorps5 and SummitCorps. He most recently served as the 2018 NOAC ARC staff Competition Adviser. He holds the Silver Beaver and the Distinguished Commissioner Service Awards (1998), the Vigil Honor and the OA Founders Award. Both of his sons, Nick and Tony, are Eagle Scouts and Vigil Honor holders. Ernesto Mora Started in scouting at the age of 10 years old as part of cub pack 122 from San German Puerto Rico. Later he would obtain his arrow of light and join troop 122 from San German Puerto Rico and eventually obtain his Eagle at the age of 17 to also earn 4 eagle palms. He is also a Venturing Ranger. During his life he has worked at several camps across the United States. He has been working at the Summit for the past 4 summers and is the seasonal High Adventure Program Director. Gary is a Scouting volunteer in the Chester County Council, West Chester, Pennsylvania. He has served in a variety of Scouting volunteer roles including Tiger Coordinator, Scoutmaster, Crew Advisor, JLT Course Director, Wood Badge Course Director, and Council President. Gary is one of the founders of the NYLT Leadership Academy and currently serves as its National Chair. He serves in the Northeast Region as Vice President of Marketing. He is currently Program Chair on the Summit Bechtel Reserve National Committee and is the Adventure Program Chairman for the 2017 National Jamboree. Gary is a Life Member of the Summit Bechtel Reserve Staff association. He is recipient of the Silver Beaver, Silver Antelope, and the Distinguished Eagle Scout Award. Phillip began his scouting career as a member of Troop 160 in Burton, Michigan, where he earned his Eagle Scout rank in 2005. He has held various volunteer positions including Lodge Chief in the Order of the Arrow, Assistant Scoutmaster & Venture Crew Committee Chairman. In 2002, Phillip began his scout camp path as an aquatics counselor at Camp Tapico in Kalkaska, Michigan, where he became Program Director in 2012. 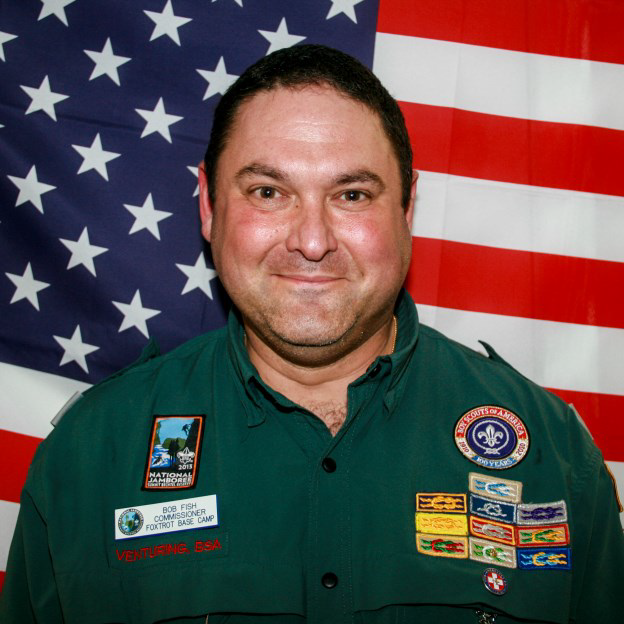 In addition to his scout camp experience, he has served 6 seasons at National High Adventure Bases including Sailing Commissioner at The Florida National High Adventure Sea Base and Climbing Director at The Paul R. Christen National High Adventure Base. His professional career with the BSA started in February 2015 as the first director of the James C. Justice National Scout Camp at The Summit Bechtel Family National Scout Reserve. 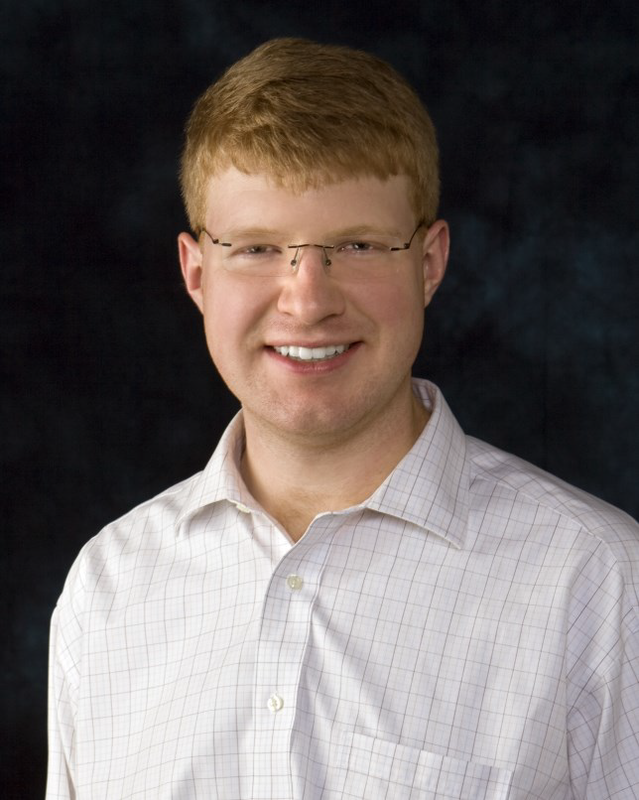 He is a Founder’s Award recipient and earned a BA in Communications from The University of Michigan in 2010.